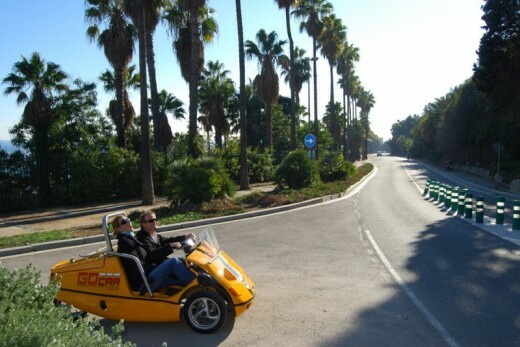 A new way to visit the city of Barcelona! A built-in browser explains you as a personal guide that you see in the city. Click here to go to the tickets for a longer drive with the GoCar. 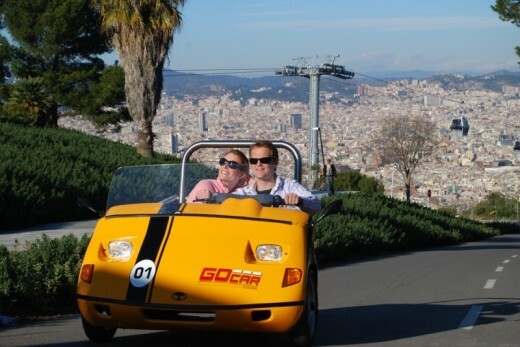 GoCar is a new way to discover the city of Barcelona. It is a small car, very charastic for his yellow color, in which two people fit. This new car is designed to enjoy the touristic route in another way. It has a device with a browser which, next to sending you where to go, explains what you see as a personal guide. You can stop at any moment to take pictures, to relax on the beach or to drink a cup of coffee. You need to have a valid driver license. You need to have your creditcard with you or a deposit of € 300, which will be given back to you at the of the tour. In case of rain, it is still possible to do the tour or you can ask the center for a rainticket on another day which will be valid for 6 months. Driving with the GoCar takes one hour. This ticket is valid for two persons. March - October: 9:00 am - 10:00 pm. November - February: 9:00 am - 5:00 pm. 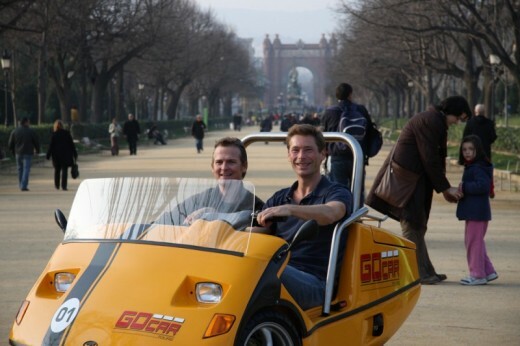 The Gocar is very easy to drive, has no gears or clutch and is also equipped with a safety belt and a stabilizer bar. 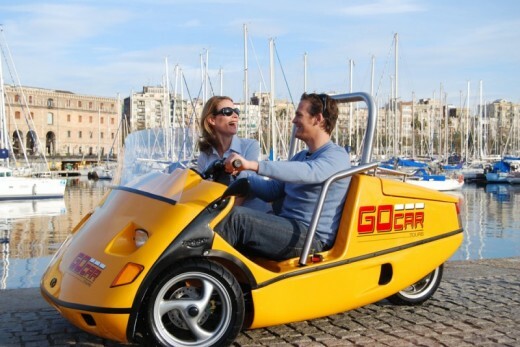 The Gocar is small, but has a suitcase at the back where you can store your belongings. Heeft u hulp nodig met dit cadeau, GoCar tour (short)?